We have had good weather and even better volunteers this winter. 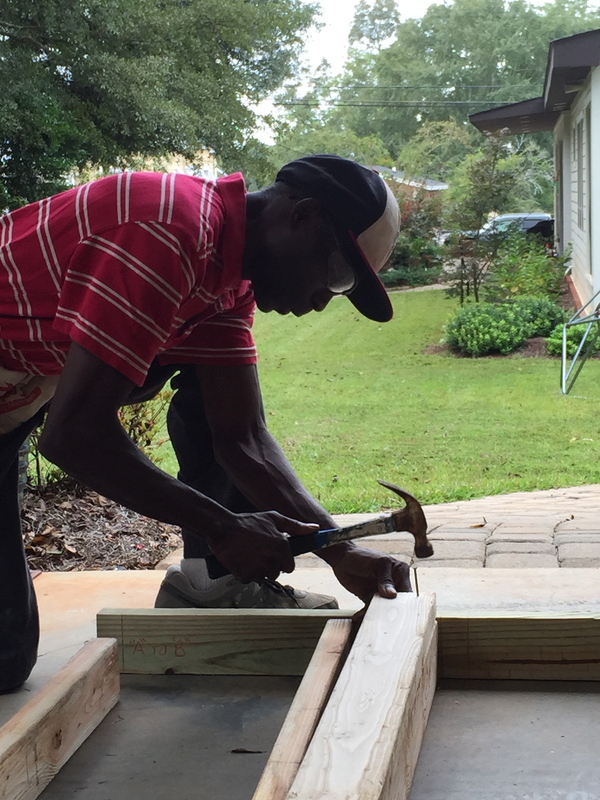 Thank you to all of you who have supported us on the build so far – student organizations, local churches, Troy businesses, and the many friends of Habitat who have spent their Saturdays pursuing Habitat’s mission of building decent, affordable housing. 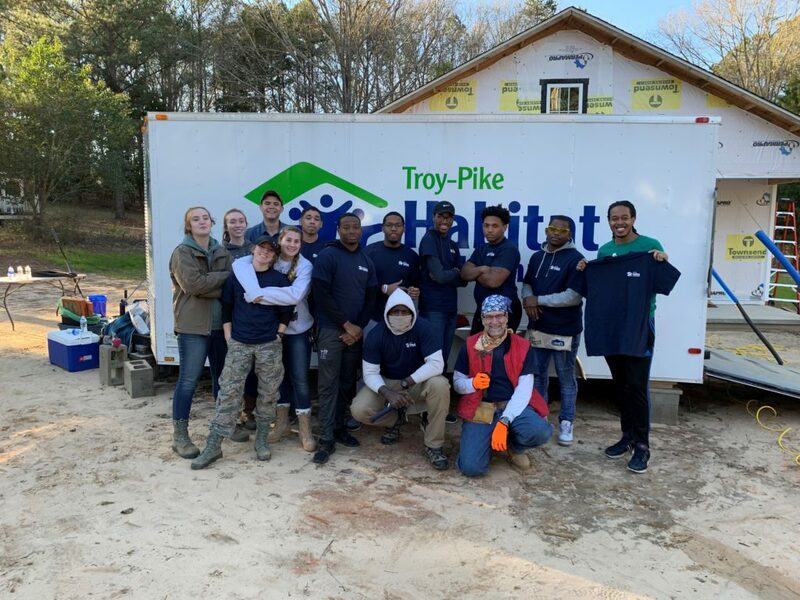 Pictured above are just a few of the great folks who have picked up a hammer, paint brush, or screwdriver – 101 Elite Men, ROTC, and the student Habitat chapter, all from Troy University. Construction is well under way for our next Habitat home. Please let us know if you would like to help out – contact the volunteer coordinator. The current build at 714 Willow St in Troy is really rolling along! 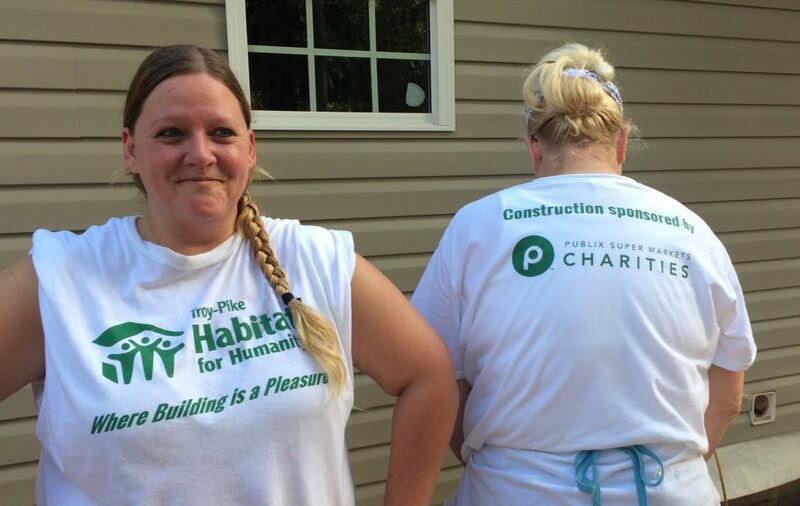 Troy-Pike Habitat for Humanity is thankful for Publix SuperMarket Charities sponsoring the construction of this house. Without Publix and our community volunteers, this wouldn’t be possible! 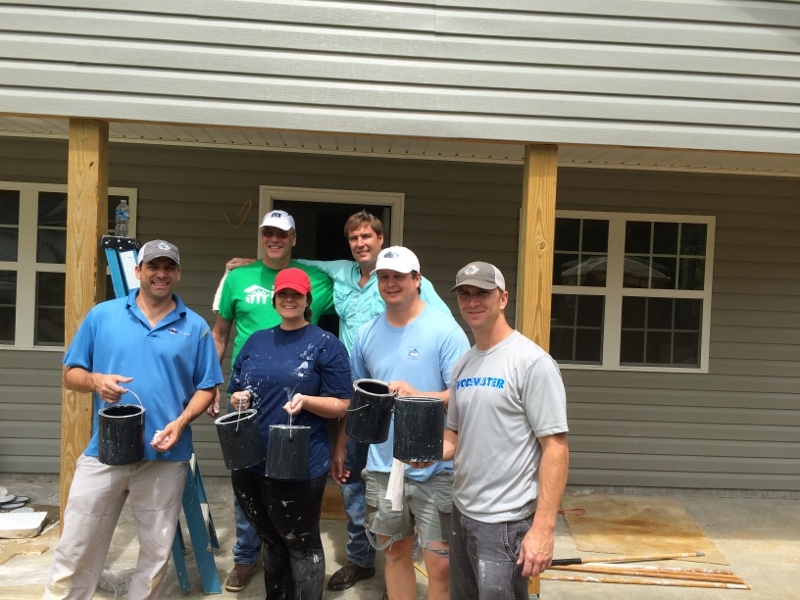 Thanks so much to everyone who made this house a home for Shermon, Marquetta, and their children! Troy-Pike Habitat for Humanity would like to invite you to the Dedication Celebration for the Williams Family this Sunday, June 12, at 2 p.m. at 207 W. Fairview St in Troy. This would not be possible without the help of many dozens of volunteers and donors. Thank You to Everyone for all your support throughout this build. The Ceilings are finished thanks to a final push by the KW crew last Friday and this Tuesday, all walls in the house except for the two bathrooms got their first finish coat of paint on them, including all trim. This Saturday, April 16, we are asking for experienced painters to help us paint at least one coat in the bathrooms and a final coat on the walls of all other rooms. As you can see from Stephanie Baker’s clothes, she walks the talk! The KW crew is holding some of the 20 or so paint cans we sent back with them for recycling. Our next homeowner driving the first nail on his house! We built several walls offsite last week. Watch for more information about the wall raising in a few weeks. Check out our volunteer section to be ready to help. Please stop by to support us and help your community at our yard sale on Saturday, October 10th, 8-11am. The yard sale will be at the Troy-Pike Habitat building located at 210 Montgomery St. We are accepting building materials (lumber, hardware, light fixtures, tile, flooring, etc. ), furniture, and appliances. You can schedule a drop off or pick up. We will be having another yard sale on Saturday, October 10th, 8-11am on 210 Montgomery St in Troy, but we need more stuff! If you have any construction materials, appliances, furniture, tools, doors, lights, etc – please consider donating these items to Troy-Pike Habitat for our next yard sale. 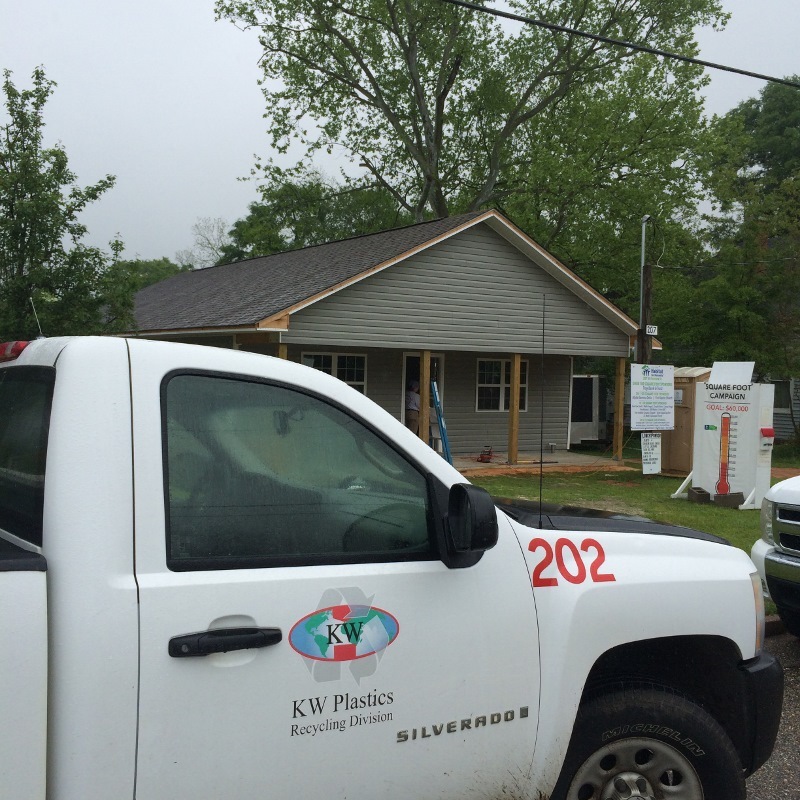 Contact us on Facebook, 334-372-7578, or troypikehabitat@gmail.com to set up a drop-off or pick-up time. Please stop by to support us and help your community at our semi-annual yard sales. The yard sale will be at the Troy-Pike Habitat building located at 210 Montgomery St. We are accepting building materials (lumber, hardware, light fixtures, tile, flooring, etc. ), furniture, and appliances. You can drop off or schedule a pick up. 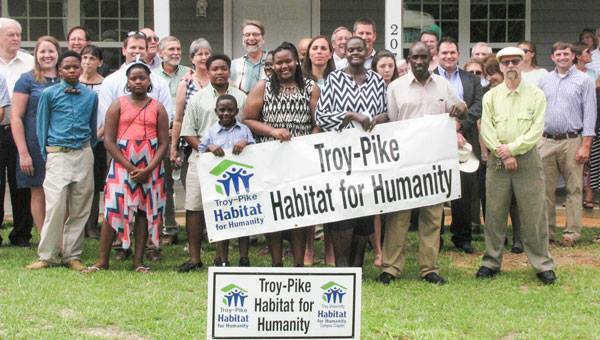 For more information, please contact us at troypikehabitat@gmail.com or 334-372-7578.